* We will withhold 20% of the prize money for tax purposes. Please e-mail or fax the following information by September 15. * Please note that an entry must be submitted from a national federation/association. Entry from an individual won’t be accepted. 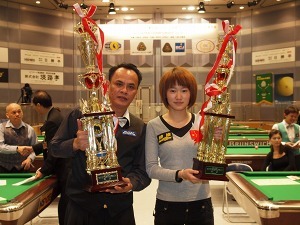 Note: All Japan Championship is an official tournament recognized by WPA (World Pool-billiard Association) and APBU (Asian Pocket Billiard Union), and is designated for the WPA world ranking. If you need further information, please feel free to contact by e-mail or fax.